Be captivated by the magic of this ring set from the Enchanted Disney Fine Jewelry collection. 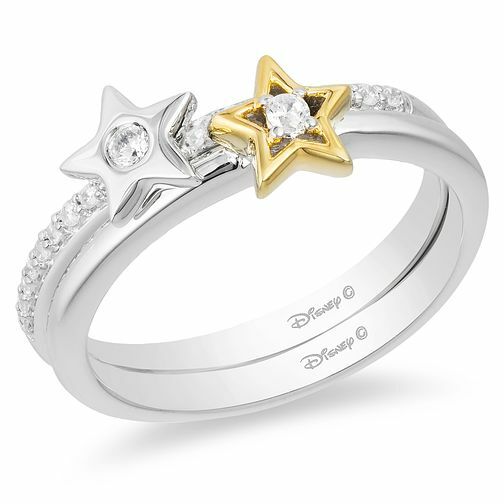 Inspired by Tinker Bell, the set comes with two rings, each featuring a star design and a total of 1/8ct diamonds. The rings can be worn together or individually, each ring has its own charm. One ring is crafted from silver and features diamonds in the centre of the star and around the top of the band. The other ring is also silver with a simple band and features a 9ct yellow gold outline on the star.